I grew up eating peanut butter and jam on saltine crackers and to this day it’s the only thing that makes me feel better whenever I get sick. I came up with this recipe which is super easy and only requires 2 ingredients. While it’s not as crispy as a saltine- it’s nice substitute that will not spike your blood sugar. Mix the egg white and the almond flour to form a soft dough. Roll the dough out evenly between 2 sheets of baking paper using a rolling pin. 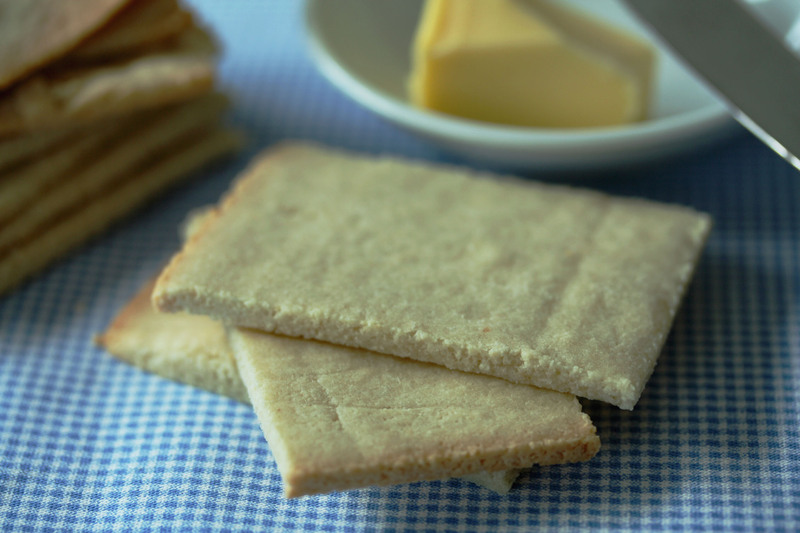 Cut the dough into even sized crackers of rectangular shape. I like to make 10 large crackers. But I have also tried to roll the dough out thinner to make 20 smaller crackers. This looks so easy! Gluten-free and healthy? Perfect.